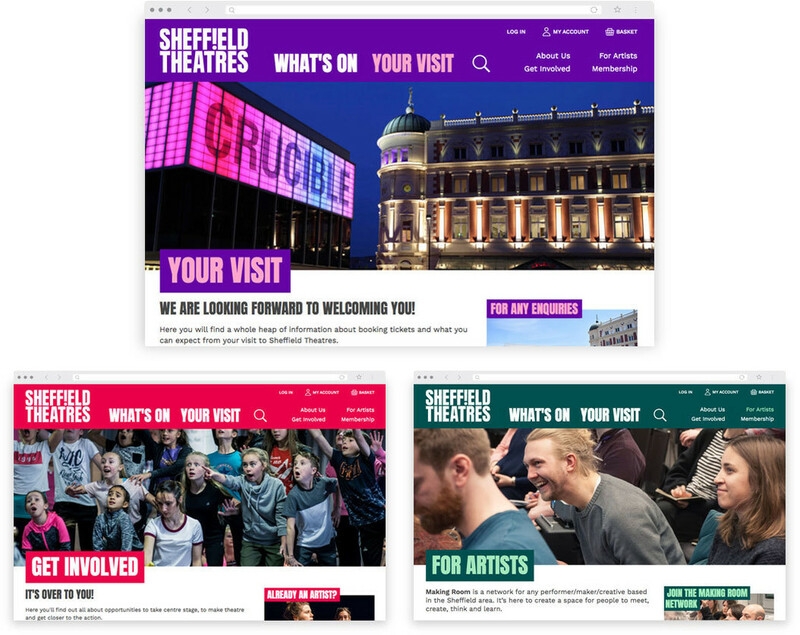 With input from all departments across Sheffield Theatres – and using data insights gleaned from the previous website – we honed a deceptively simple site structure to house the organisation's busy and varied programme. 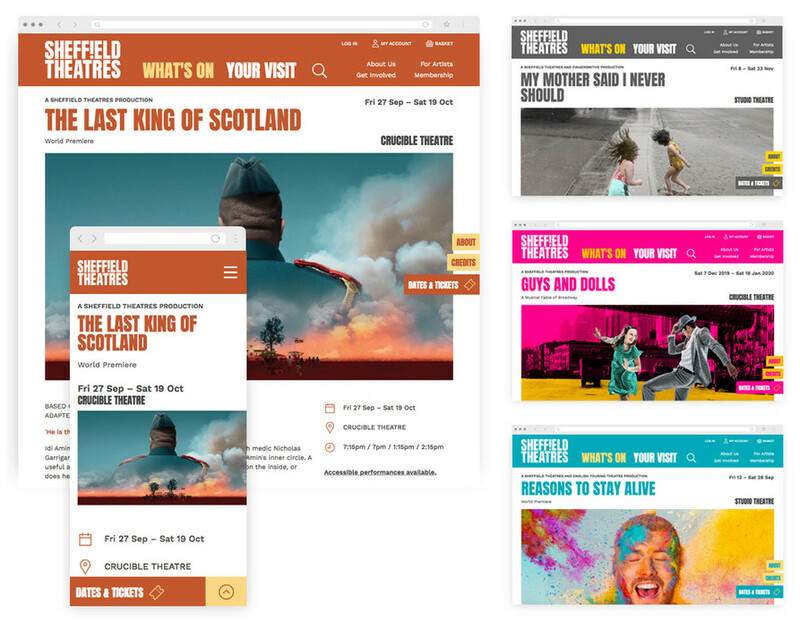 Launched in tandem with Sheffield Theatres' new brand identity, in early 2019, the website's navigation is designed for the audience, rather than reflecting organisational structure. This means it's really easy for people to find exactly what they’re looking for – or browse what’s interesting to them – quickly and painlessly. Loving the new website. Looks fresh and modern, yet still easy to use and accessible. Nice one! … thank you for your amazing work on our website – it has caused a great splash and has inspired me and my team. Neat Spektrix integration includes the nifty donations web component, which can be placed on any page of the website and allows donations to be added straight to the basket. This is great for putting fundraising asks in context – as part of a News item, for example – making it really easy for people to support the theatres’ wide-ranging work; from the creation of new productions to running community engagement projects. With ticket sales a primary focus, customers have a great user journey right from the get-go. Analysis of the old website told us that Sheffield Theatres customers want to browse shows based on venue. So, we’ve made it easy to do just that – with straightforward filtering of Lyceum, Crucible, and Studio theatre events on the What’s On page. [Supercool] immersed themselves in our brand and helped us to focus on providing the best possible customer experience of the enormous range of shows that we make and stage here in Sheffield. A renowned producing theatre, Sheffield Theatres’ own shows are given extra oomph, with the ability to select bespoke colours creating almost a microsite for each production. Show pages also house Reviews, Gallery, News articles and Credits; each separated into distinct skip-to-able sections, which can be linked-to directly from social media and emails – making it easy for the team to share new content. And section navigation is persistent, meaning that each and every section is easily accessible from wherever you are on the page. This is particularly important for the Dates & Tickets link – the second you're ready to buy tickets for a show, the link’s right there waiting for you. We’re really looking forward to continuing to develop the site with the team at Supercool – we’ve got exciting plans, and we know we’re working with partners who can help us realise our ambitions.